Seeking a Director of Quality Assurance for a global biotech company. We apply CRISPR/Cas9 genome editing and gene therapy technologies to edit and restore genes to their normal, healthy sequence. We are a dedicated team driven to change patients’ lives. As we build our team, we’re excited to work with people who share our commitment and energy to making a difference. The Director of Quality Assurance establishes and oversees the Quality Assurance function responsible for driving the development of the company’s Quality Assurance system and strategies reporting to the Vice President, Regulatory Affairs and Quality. Responsible for developing product candidate quality strategies with understanding of global requirements for early phase clinical drug development. Provide Quality Assurance and compliance oversight for supply chain, including supporting site identification and site qualification, audits of vendors, suppliers and contract manufacturers and creation of quality agreements. Responsible for ensuring that product release is performed in a timely manner and meets all written procedures and regulatory requirements. Responsible for release of raw materials, drug substance and drug product lots including approval of completed manufacturing batch records/QC data, review of related nonconformances and ensuring adequate investigation activities are performed and appropriate actions are identified. Ensure that finished product release meets all written procedures and regulatory requirements and track finished product lot release information. Provide Quality input at product development team meetings. Partner and align with the Process Development, Preclinical, Technology Development, Regulatory, and Program Management to implement development strategies and drive organizational success. Identify and communicate quality or compliance risks and participate in determination of appropriate plan to address risks. Supervise Quality Assurance direct report(s) who may include internal staff and/or consultants. Ensure optimal workforce planning, retention, coaching, and performance management of staff. Mentor and manage the growth and development of direct reports. Author/revise, review and approve controlled GMP documents. Final Quality approver for all GMP documentation associated with the development and validation of drug substance and drug product to include manufacturing and testing methods, specifications, stability protocol and reports, and validation protocols and reports. Provide GMP regulatory compliance guidance (FDA, EU) for GMP operations. Bachelor’s degree in science or related field; advanced degree preferred. Understanding of science/biochemistry around RNA (guide or mRNA) a plus. 10+ years of experience in a cGMP pharmaceutical or biotech company leading quality assurance. Demonstrated ability to apply comprehensive, in-depth, understanding of pharmaceutical industry regulatory compliance requirements with an emphasis on GMP/GLP/GCP related issues, and related US and international laws. Exposure and experience with inspections by regulatory authorities, particularly FDA and EMA. Experience with Lean management and continuous imprtovement. 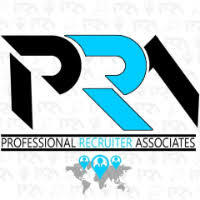 For immediate consideration, please forward a copy of your current resume to info@profrecruiters.com referencing job #1762 or a link to this job.